Stool softeners should be used if you are constipated. However there are many more people constipated than they know they are. Therefore do read my section on constipation to find out where your are at, and you will be surprised. There are many different softeners on the market. It is vital that you choose one that is natural. Do not use a chemical made laxative. This one can cause the opposite effect and your bowels to stop working altogether. In other words you will still be evacuating due to the chemical product, but your actual bowels will not be working at all. This can then create serious complications. The chemical made one can also in some cases be irritable to the colon and bowels. A natural softener on the other hand is just supplements of different fibers that help in softening the stool making the process of evacuation easier. The best way to choose one is to try different ones until you find the one that suites you best. N.B. Different people react differently to different fibers. I found that too much fiber(in the form of a stool softener) did not really work well for me. 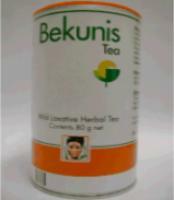 The one that I found really works wonders for me is a product called Bekunis Tea. This not only works well for me but is easy to use. A cup of tea before bed is all that is needed. This tea can be made stronger in either two ways, one put more leaves or two let it brew longer. If you are really stubborn with your stools then you could add an extra cup of bekunis in the morning. The idea is to make your tea according to what you have eaten during the day. As an example : If you have had no fiber at all today. I would make the tea extra strong. If you have had a lot of fiber today make the tea very weak. If you have had a well balanced diet of fiber and starch. Then make the tea medium or regular. For me regular means the tip of a tea spoon and a twenty minute brew. Another good softener to add to the bekunis tea is psyllium husk powder. Psyllium husk not only helps as a softener, but is also a very good lining for the colon. This is imperative if you are experiencing difficult constipation problems.